What does it take to be in IIT ? 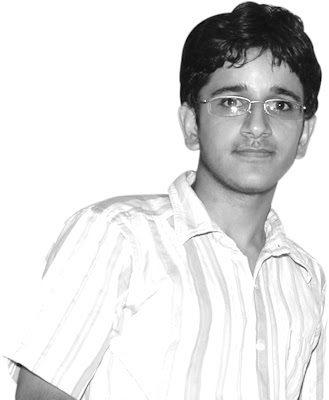 Abhishek Katyal, IIT-JEE 2007 AIR(25) Reso Roll No. 501752 IIT-Delhi – Com. Sc. & Engg. IITs conduct a Joint Entrance Examination (JEE) every year for the admission to its B.Tech. and other courses offered at various IITs, IT Varanasi and ISM Dhanbad. Preparing for the IIT-JEE requires determination, devotion, perseverance and above all guidance. We talked to Abhishek Katyal, a student of 2007 batch of Resonance, to delve his Success secrets in IIT-JEE 2007. Ans. A tough question I must say, lots of hours of studies, clear concepts, knowledge of the previous questions of JEE, speed (important factor), good examination temperament, objective approach, and balance in all the three subjects. Ans. 11-12 hours including the classes. Ans. I only referred to class notes and in case of any doubts, I used to think over it and if could not get it, I would ask the teacher. Thanks to our good faculty of Resonance. Ans. First of all never go for short of sleep and food, it never helps. Have a good sleep and a light but nutritious meal. Don’t talk to anybody while studying. In case you get a doubt don’t ask anyone immediately unless it is very important, note it down on a separate paper and get it clarified afterwards. Concentrate on what your teacher has taught you, not on what he has not taught you. Don’t go for quantity but for quality study material, revise the DPP at home after it has been discussed in the class. Analyze your mistakes and get them sought out. Q. How many questions one should attempt to get into IIT? Ans. It depends on the difficulty level of the paper and also on the person. Some have great speed but less accuracy whereas some have the case vice versa and the person who has both speed and accuracy is what we call AIR 1. I think one should go at his natural speed. The experiments with speed and accuracy should be done in DPP’s and monthly tests so that you automatically get to know your strengths and weaknesses. Q. What are the important topics for paying special attention? Ans. Maths – Vectors and 3D geometry, calculus. Chemistry- NAME reactions in organic chemistry, REAL gases in gaseous state, thermodynamics. Physics – Everything is interrelated you cannot skip topics in physics. Ans. Emotional quotient is very much important. One should try to remain calm and composed. Never see what the others are doing during the exam time. In case you find the paper very difficult choose some easy questions and do them first. Once you get the momentum, it becomes easy then. But always be aware of the cutoff marks. Ans. School syllabus is not at all difficult if you go through the IIT- JEE syllabus properly. In board examination questions are generally stereotype and they can be easily done by going through the ten year papers. They should be studied at the time of board exams only. Ans. Just by ambling here and there or talking with some friend or taking a short sleep. Ans. I want to give the credit to RESONANCE, my parents, my sister, my luck and myself too. Thanks to almighty God. Ans. I always have faith on my teachers and used to study a lot. By God’s grace I had good objective speed-that is my success mantra. Ans. Have full faith in your teachers. If the teacher is not good even then never miss classes and always be fully attentive in the classes. Do not run for extra books and other coaching institutes.